Padding with a number of different materials (eg felt) to reduce pressure on the painful prominence of the bunion. Physical therapy can be used to help with the symptoms and improve the range of motion (this is particularly helpful if the pain is coming from inside the joint, rather than from shoe pressure). Manipulation of the joint can be used to help with this (manipulation will never correct the alignment of the joint). Any corns and calluses that are causing symptoms should be treated. The correct fitting of footwear is essential for anyone who is serious about doing something about their bunions and hallux valgus. It may be possible to have your shoes stretched over the area of the bunion to also relieve pressure. Foot orthotics may be useful in helping with the instability about the joint. They may be more helpful if there are other symptoms in the foot as well, as their use in “treating” bunions is controversial. They may play a role in slowing progression and in the prevention of bunions developing again after surgical correction. Exercises can be important in maintaining the mobility of the joint in those with bunions, this is especially important for the arthritic type pains that may be originating from inside the joint and for the prevention of these painful symptoms in the future. If bunions are causing severe foot pain or inflammation and swelling that limits daily activities and doesn’t improve with rest, medication and comfortable shoes, surgery may be required. More than 100 surgical options are available for painful bunions. 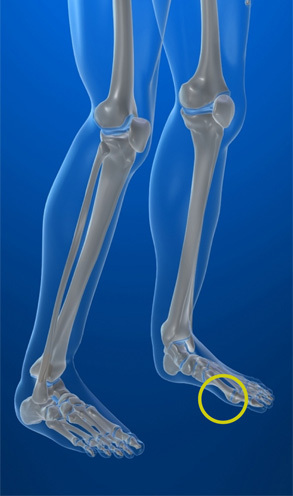 Some realign the foot’s anatomy by cutting notches from the metatarsal bone or the bone of the big toe. 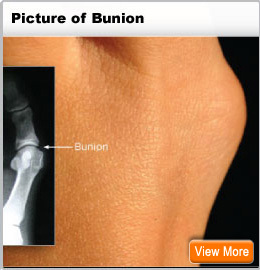 The bones can then grow back without the slant that promotes bunion growth. The operation is usually done on an outpatient basis, but afterward, you probably will have to stay off your feet for a few weeks. Recovery takes about six weeks. Surgery is not recommended for a bunion that doesn’t cause pain.